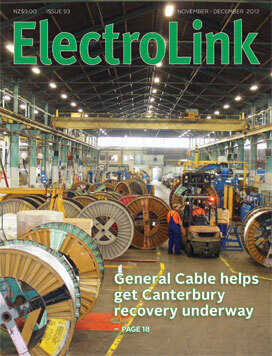 Spread over a seven-hectare site in Riccarton, New Zealand’s largest cable manufacturing operation scarcely missed a beat when the first earthquake struck Christchurch in September 2010. Built on firm ground and of a construction that supports large gantry cranes, General Cables’ buildings came through relatively unscathed. Despite the disruption of the second quake General Cable’s staff had the business operating again within hours and kept orders moving out the door largely thanks to a disaster recovery plan the company already had in place. More changes to the compliance regime have now passed into law but with a long lag time for the industry to get up to speed before they take effect next year. This allows plenty of time for the Electrical Workers Registration Board to adjust to running its licensing and disciplinary regime without the $1.5 million annual revenue from the sale of certificates of compliance. The regulation changes take effect from 1 July 2013 by which time every certifying electrician or employer licence holder should have sorted out new forms or formats for carrying out certification. Six years ago when the licensing categories for electricians, inspectors, line mechanics and electrical service technicians ceased to exist in the electrical legislation, the amended Electricity Act and subsequent regulations could no longer refer to these phantoms of the past. What we have now is electrical law which makes no reference to any of these forgotten people and creates no entitlements for any of them to carry out prescribed electrical work. 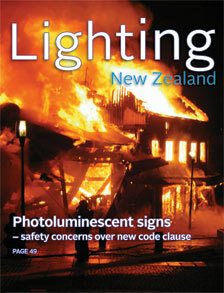 All of that is now the exclusive domain of the Electrical Workers Registration Board (EWRB). The compact size and inherent simplicity of a new range of Siemens VSDs saves a lot of space and installation time but when it comes to maintenance further down the track, the huge savings in downtime reduce the lifetime cost of the new Sinamics G120C even further. The new industrial range offers eleven VSDs spanning 0.55 to 18.5 kW and is being launched by Siemens New Zealand in conjunction with J.A. Russell Ltd. 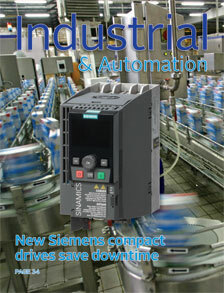 Variable frequency drives (VFDs) are now very commonplace in industry and increasingly common in the domestic scene, yet there are some characteristics that are not adequately regulated or controlled that can have a very negative effect on the environment and even, in extreme cases, cause risks to life and property. This is not the sort of news that some drive suppliers would like to admit to. In fact they vehemently deny that such risks exist and prefer to hide behind an inadequate EMC standard for conducted emissions as proof of zero risk. Recent cyber attacks on industrial sites around the world have highlighted the need for manufacturers to have sound cyber defence and a good overall security policy. Responding to the threat many control system owners have developed a security culture to combat cyber threats from both within the company and from external sources. A cyber security policy is like a health and safety policy, but for computers and control systems and, like a health and safety policy, every company should have one. Once established, a security policy works better as an on-going process rather than being treated as a one-off project. Company security culture is about encouraging staff to understand, observe and respect the corporate security policy irrespective of whether they are in the workplace, or not, or accessing it remotely. Controversy again surrounds escape route signage requirements following alterations to the New Zealand Building Code (NZBC). In April the Department of Building and Housing (DBH) which administers the code issued an amended version of Clause F8: Signs and introduced an alternative form of sign and lower illuminance values for it, making these new escape route signs less visible than internally illuminated exit signs. Light affects how we feel and perform and artificial lighting installations can influence our health and well-being in either positive or adverse ways. Lighting is not only about the right light levels but it is also about our visual comfort which surprisingly, can be affected by the quality of light. As recently as a few short years ago there was still belief in some sectors of the lighting industry that the future of LEDs would be limited to a few specialist applications and play only a supporting role in general illumination. The Energy Efficiency and Conservation Authority’s RightLight website still touts this antiquated view and advises consumers not to use LED for “general lighting” and states “LEDs have yet to produce the light output of the most common 100 W, 75 W and 60 W bulbs.” This EECA flagship lighting site recommends using LED only for decorative applications, wall-fittings in hallways, stair footlights and for outdoor lighting to replace lamps up to 40 W.